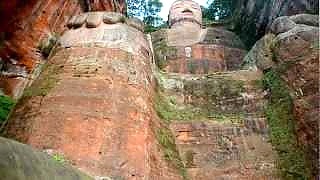 WuLingYuan Scenic Area, HuNan province. HuangLong ('Yellow Dragon' - the appearance of the pools along HuangLong Valley) lies 150 kilometers (93 miles) north-northwest of the provincial capital ChengDu. All in all, it covers an area of almost 2,000 square kilometers. This area is known for its colorful pools formed by calcite deposits, as well as diverse forest eco-systems, snow-capped mountain peaks, waterfalls and hot springs. 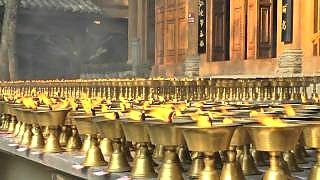 There are also a number of temples. 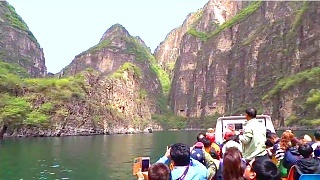 HuangLong is also home to the Giant Panda. 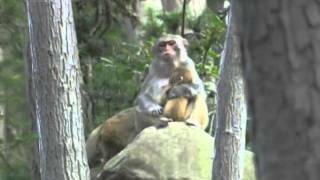 YeSanPo National Park is located about 2 hours west of BeiJing. 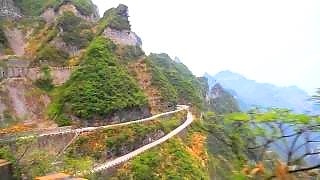 YeSanPo consists of six main scenic areas, including the BaiLiXia Gorge ('Hundred Li Gorge'), which is about 30 miles long. 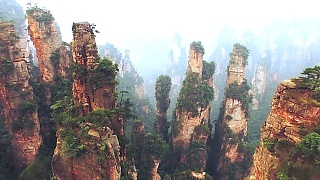 ZhangJiaJie National Forest is part of the WuLingYuan Scenic Area in Hunan province. 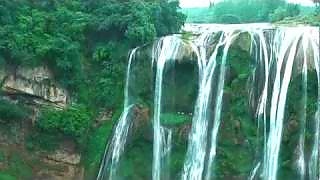 Part of the WuLingYuan Scenic Area in Hunan province. 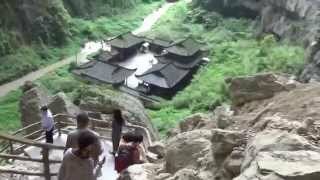 WuLingYuan National Park 中国世界自然遗产 武陵源 张家界 is a spectacular area stretching over more than 26,000 hectares. 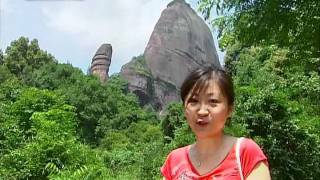 The park is dominated by more than 3,000 narrow sandstone pillars and peaks, many over 200 meters high. 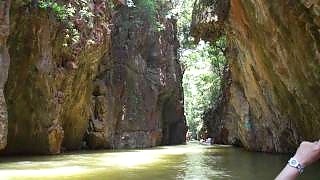 Between the peaks lie ravines and gorges with streams, pools and waterfalls, about 40 caves, and two large natural bridges. 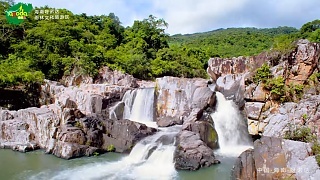 In addition to the striking beauty of the landscape, the region is also noted for the fact that it is home to a number of endangered plant and animal species. 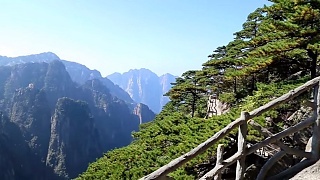 JiuXiang Scenic Area lies about 70 kilometres from KunMing and 47 km from the town of YiLiang. 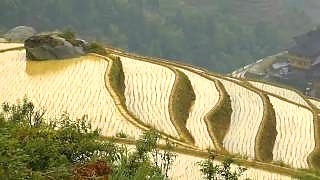 In JiuXiang, rivers and streams criss-cross karst hills and mountains. 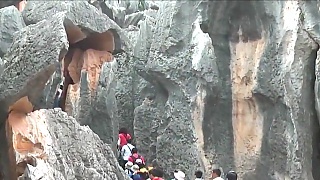 There are more than one hundred caves here that form one of the largest cave groups in China. The stalactites in the caves take on many forms in different colours. Found in the caves are numerous natural bridges, valleys, steams and waterfalls, which constitute a wonderful subterranean world. 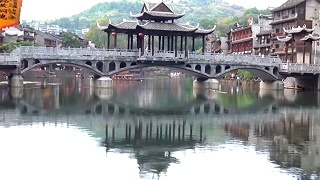 With a total area of about 200 square kilometres, JiuXiang consists of five smaller scenic areas. A picturesque ascent. 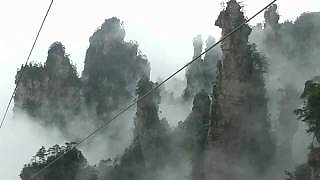 Part of the ZhangJiaJie scenic area. A UNESCO World Heritage Site. 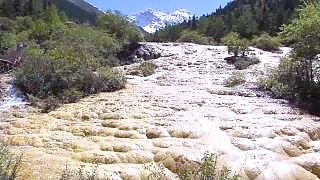 HuangLong Scenic Area lies in SiChuan province, about 150km north west from the provincial capital ChengDu. 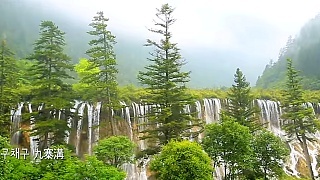 It is famed for its colorful pools formed by mineral deposits, and there are also rich forests full of wildlife, including the Giant Panda, snow-capped peaks, waterfalls and hot springs. 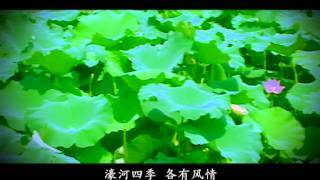 A scenic area / nature reserve in SiChuan province. Also, a UNESCO World Heritage Site. 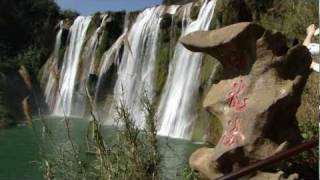 The Nine Dragon Waterfalls, LuoPing County, YunNan province. 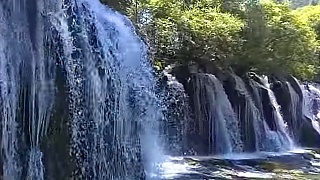 The succession of water falls, some gentle and some powerful, are set in a landscape of patchwork fields and mountains. The grandest has a water drop of 56 meters and is 110 meters wide. 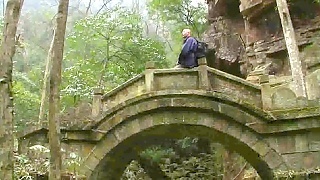 A great day out in splendid scenery ... Part of the movie Curse of the Golden Flower was filmed here. 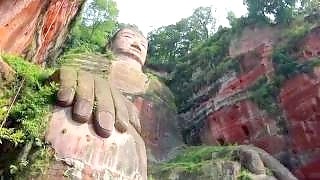 The scenic area is about two and a half hours from the city of ChongQing by bus and is a UNESCO World Heritage Site. Near the city of ZhangJiaJie in central/south China Filmed in January 2010.